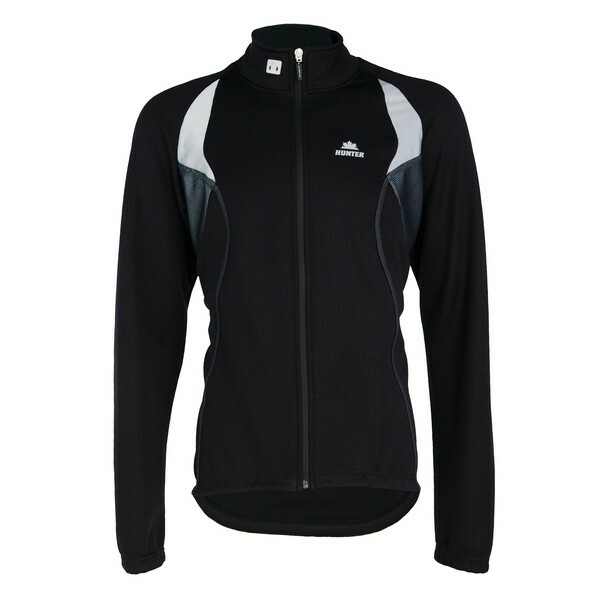 Functional skate jacket for men, made of highly insulating Vuelta fabric with ribbed inner layer. For extra wind protection, the outside layer is coated with Droptex. Three easy access back pockets and one extra waterproof pocket with reflective zipper provide sufficient space to store your necessary equipment. This jacket is also equipped with a MP3 cable entry reaching from the collar to the back pocket. Available in uni black colour with many reflective pipings and logos for optimal visibility. Also very suitable for cycling.